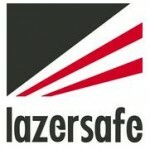 The FoldGuard for Pathfinder safety and guarding system was developed by Lazer Safe specifically for folding machines. It provides a complete safety solution including optical guarding of the clamping operation, clamp speed, and overrun monitoring and management of additional machine safety components. AMS Controls is the exclusive provider of the FoldGuard system. It is available as part of our Pathfinder Folding Machine Controls system for new or retrofit applications. It can also be installed as a stand-alone safety system for folding machines without Pathfinder. 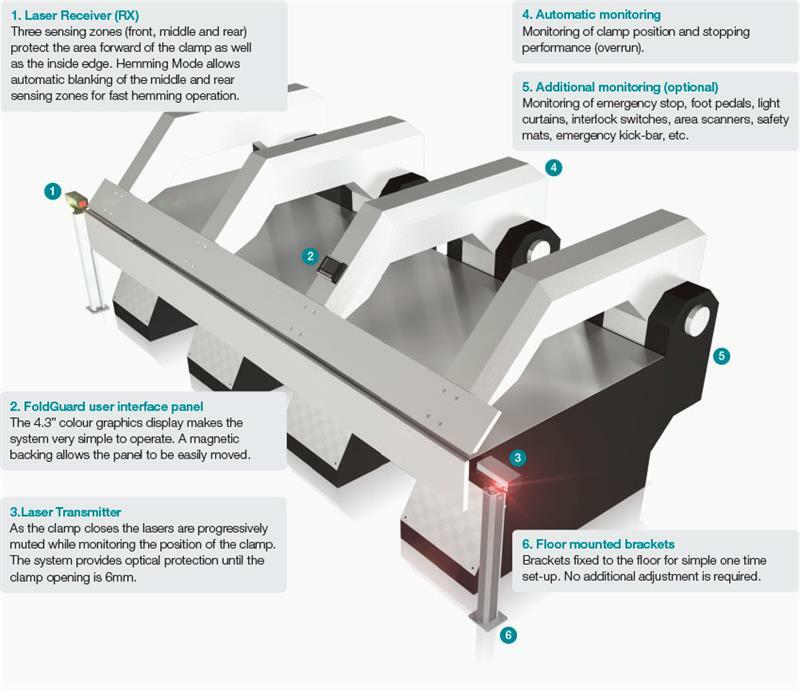 FoldGuard is currently only available for folding machines with open access to the side of the clamping beam (i.e. long folders). This system is available for retrofits to existing machines or on new installations. Specifically designed for folding machine applications. Available in OEM and retrofit configurations. Optical protection of the clamping operation keeps operators safe when handling material. Eliminates the need for safety stop on every clamp cycle, which speeds up your production. Dedicated hemming mode allows parts with a hem to be formed safely without the need of a safety stop. Graphical user interface panel displays system and machine status in real time. Easy to follow instructions and messages make the system simple to operate. Optional monitoring of machine elements including emergency stop buttons, emergency kick bar, pedal e-stops, and more. Optional management of additional safety components – light curtains, safety mats, laser scanners, etc. Minimal slow speed for faster cycle times. Automatic monitoring of clamp motion and stopping performance. 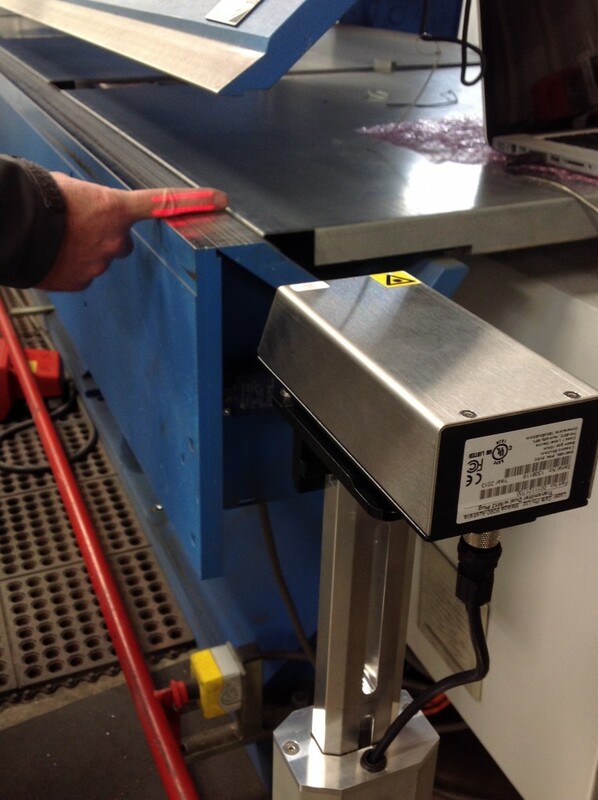 The FoldGuard laser transmitter and receiver are positioned on either side of the machine with floor mounted brackets. A continuous dual laser field protects the zone between the clamp to protect the operator as they hold the material while it is being clamped. If an obstruction is detected, such as a tool or the operator’s fingers, the clamp motion is automatically stopped. By providing this extra protection FoldGuard enables the machine to operate without the need for a safety stop on each cycle for faster operation. A special hemming mode also enables parts to be formed safety without unnecessary safety stops. 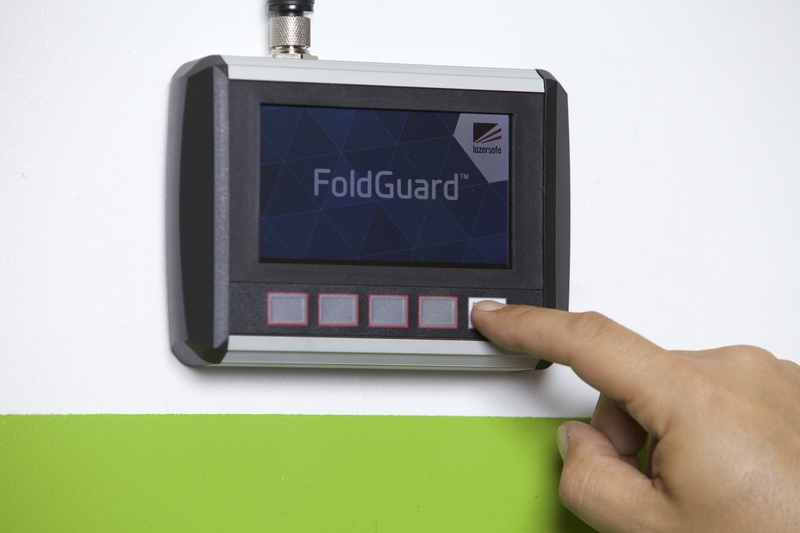 FoldGuard also provides optional monitoring of additional machine safety elements such as emergency stop buttons, foot pedals, light curtains, area laser scanners, safety mats, interlock switches, and emergency kick bar. The operator panel is magnetically mounted to the machine so it can be placed in the ideal position for the operator. The panel shows step-by-step text instructions making the system simple and easy to use.